Publishers have experienced an utterly deplorable year for e-book sales and most of them have seen declines by around 12%, things have gotten so bad that most of them do not even report how many units were sold. They speak in broad generalities, which does not bode well for the future of the format. One of the biggest trends of 2016 was the lack of innovation and risk in the audiobook industry. Most companies operating in this space were in a holding pattern, focusing on growth, instead of new business models and different ideas. The core focus was international expansion and the consolidation in the industry. Most of the risk that companies took, was in 2015. We witnessed the rise of audiobooks being included into the unlimited subscription model, to varying degrees of success. There was also lots of experimentation, such as the BITLIT model of e-book/audiobook bundling and car manufactures including free audio content when you bought a new ride. The most popular audiobook genres in 2016 were mystery, thriller, romance and fantasy/science fiction. Retailers and publishers explained that listeners are heavily enamoured with following a central character who has different story arcs. Incidentally, these are also the most popular genres in e-books, so there is little intersection between the two formats. There will be little deviation from these patterns in 2017. One of the largest new trends of 2016 and 2017 will be existing companies including audiobooks in their portfolio and leveraging their existing customer base to try out a new format and generate more sales. Additionally, there will be more companies leveraging podcasts as a gateway to audiobooks, since both formats are on the rise. A good example of this is Tunein Radio, who was a music first company and branched out into podcasts and then developed a solid audiobook collection. 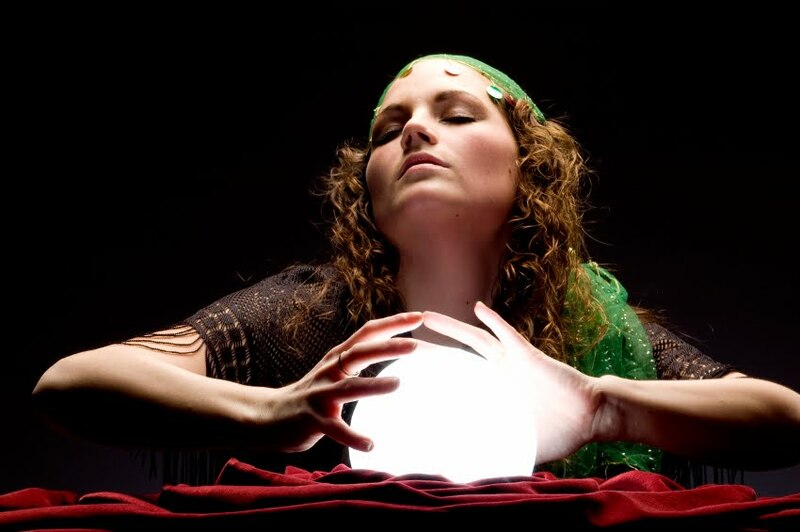 I surmise Pandora, Spotify and other companies will develop similar strategies. The Latin American market is booming and one of the big trends of 2017 will be new companies entering the market and giving UBOOK a run for their money. The reason for this is primarily due to the keen understanding of the local market and how much consumers are willing to pay for audiobooks. Publishers and retailers are not afraid to change the prices due to market conditions. Small regional players are going to emerge in 2017 and focus on one specific country and develop a strong presence against multi-nationals. Scandinavia is one burgeoning market with only 500 digital titles available and 100 that were produced in 2016 alone. This is creating an opportunity for local companies to start early and grow organically. Some notable entrants in the field are Nextory, and Fabula, who both have made unlimited audiobooks work and maintain a healthy profit. Storytel is a great example of a company that only burst onto the scene a few years ago and has quickly become the largest of its kind. The phone in your pocket is cited by publishers and retailers as the most popular device in which people listen to audiobooks. Apps are starting to gain more functionality and curation is starting to become a major focus. If you borrow and checkout audiobooks from the library, most of the time you need multiple apps in order to do it. The New York Public Library developed a different methodology, they made a singular app that included content from Overdrive, 3M, Baker and Taylor, Zinio and Educational publishers. The NYPL has stated that other libraries will develop a singular solution as well in 2017 and this will remove barriers to further audiobook adoption. There is a growing trend in acting schools and film programs conducted by seasoned narrators in the audiobook industry. They are teaching young actors about how to properly voice audiobooks and advising them that it is a very lucrative career path. Good e-Reader has conducted a month long poll where we asked users about their audiobook buying habits. 753 people voted and it looks like Audible is the most popular service, which garnered 16.6% of the vote. 13.55% borrow them from the library and through companies like Overdrive, while 7.44% pirate them from websites or forums. Surprisingly unlimited subscription services like Kindle Unlimited and Scribd did very poorly with our users who collectively represented 3.05% of the vote. Where do users listen to audiobooks the most? 18.99% listen to them at home, 15.41% in their motorcar and 11.69% on public transportation. GoodReads initially started as a social book club and community that discusses new books that have hit the market or are coming out soon. When Amazon purchased the company it was inevitable that there would be more synergy between GoodReads and Amazon properties. In 2015 the GoodReads “Listen” feature was launched and it has over 250,000 free audio samples if you like what you hear, you can add the title to your “Want to Read” shelf or directly purchase it from Audible. Ever since Listen went live, there is also an official Audible page, which is starting to gain traction. Last year Nielson has begun tracking audiobook sales and have been issuing a few reports, but mostly have been traveling to various publishing circuits and conducting talks. At the recent Future Book Conference Jo Henry told the assembled audience that audio downloads “were up 30 percent and 50 percent over last year. 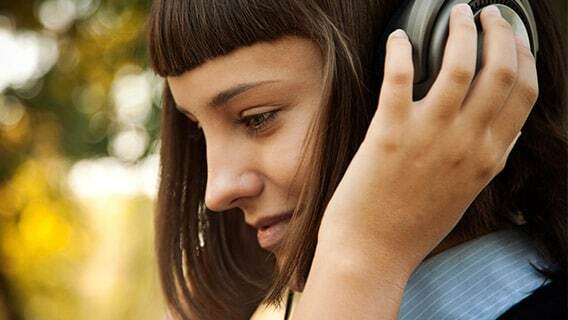 Just about 10 percent of UK adults have listened to an audiobook over the last twelve months to June 2016. Retail continues to be the most viable way to sell audiobooks to consumers, but there are a number of other distribution models that continue to gain popularity. Publishing companies such like Blackstone Audio, Gildan Media, Hachette Audio, HarperAudio, and Naxos Audiobooks have all committed themselves to audiobook subscription services and this segment of the industry is thriving. The largest company currently operating in this space is Amazon Kindle Unlimited. Not only do they have a huge selection of e-books, but they also offer thousands of audiobooks. The Codex Group has reported in their April 2015 consumer survey, 12.4% of digital book consumers have a Kindle Unlimited subscription. Good e-Reader Research also has Kindle Unlimited as the most dominant player in the field. In a recent study Amazon had 52% of the vote, while Scribd had 28.21. In order to solidify their position as the most dominant player in the audiobook space, Amazon launched a new program in 2016 called Prime Reading. This service launched with e-books, but in November 2016 they are now offering audiobooks. Amazon has told me that in 2017 they will increase their library with thousands of audio titles. Sometimes audiobooks do not enjoy the same type of promotion as e-book. There are a severe lack of blogs and review websites that specialize in audio content. Scribd addressed this issue and said “The majority of our members enjoy content in both formats — in fact, 70% of subscribers who listen to audiobooks also engage with other types of content on Scribd. To help our readers find the content that matters most to them, we rolled out a new discovery experience that breaks down the barriers between content types and groups them by interest. By using this content agnostic approach, it’s easier than ever for readers to dive deep into any topic. TuneIN Radio is a new entrant to the audiobook market and they have added an extensive catalog of over 65,000 audiobooks from science fiction to history and everything in between on its platform. This is a growth of approximately 62% since our library opened up with the launch of TuneIn Premium in August 2015. One of the challenges that TuneIN has faced is promoting their audiobook content in addition to their huge portfolio of music. The company told Good e-Reader that “TuneIn will recommend the top 10 audiobooks available based on current bestsellers, as well as curated selections. We also implemented new “Featured Banners” with original artwork within the audiobooks section of the app offering a roundup of titles in subjects like “Fall Reads,” “True Crime,” “New Releases,” and “Biographies and Memoirs.” Additionally, our offline listening feature, which recently launched on our app for podcasts, will be coming to Audiobooks in 2017. Starting next year TuneIN will be adding functionality for offline listening. TuneIn recently unveiled this new feature to its more than 5.7 million podcasts, allowing for users to download content for listening without a cellular data or wifi connection. The offline listening experience, in addition to encrypted playback, will add approximately 15-20k audiobooks in the directory next year. They also stated that increasing their subscriber base and consumer awareness of the content available on TuneIn remains the primary goal for us in 2017. Audiobooks.com has a library of 100,000 titles available and they also abide by the subscription model. In 2016 the company added over 20,000 new audiobooks to their library and their subscriber base has increased by over 60%. Over 5 million hours of audio content was listened to in 2015 and Audiobooks.com saw this figure increase to over 8 million hours in 2016. They expect that in 2017 the total listening hours will surpass over 10 million. One of the ways they were able to grow so quickly is quickly embracing new platforms. They recently launched an Apple TV app and ironed out an agreement with Sonos. They also established partnerships with GM and OneStar to have audiobooks available in the car, with no phone required. In 2017 Audiobooks.com plans to unveil new discovery features for their complete line of apps. They will focus on curation and hire some new editorial staff in order to put the spotlight on new titles and develop themes for holidays and special events. They also plan on expanding outside the United States into other markets. I surmise that Canada and the United Kingdom will be first on their list of priorities. The most successful audiobook retailer of them all, is Audible. The company primarily focuses on the US and the UK market, but they sell audiobooks all over the world. They have an extensive portfolio of over 325,000 audio titles and the company has said that in 2016 over two billion hours of audio had been downloaded globally, doubled from one billion in 2014. Audible members globally listened to an average of 17 audiobooks in 2016 and members listened to 30% more audio content on weekdays than on weekends. In 2016 Audible launched Channels, the first major initiative since the creation of the Audiobook Creation Exchange in 2013. Audible Channels available for free to monthly Audible subscribers, free for Prime members or can be purchased as a standalone subscription. It features hundreds of podcasts, newspapers, comedy shows and tech shows. When Audible Channels first launched they 84 different companies that are contributing content, such as The Washington Post, USA Today, The New York Times, CNET, Reader’s Digest and Forbes. There are also 8 Audible podcasts that have been created by an in-house team. Audible told me that additional original content will be added on an ongoing basis. Channels was designed to be a compliment to your existing Audible subscription. When you run out of your listening credits you can simply listen to additional content. I think the big selling point is not everyone has time to listen to a 13 hour audiobook, but everyone can devote an hour to listen to one of their podcasts or news shows. Jonas Tellander is the CEO of Storytel, the leading audiobook streaming service and currently operates in Sweden, Norway, Denmark, the Netherlands, Poland and Finland. In 2016 the company acquired their main competitor, Mofibo for £13.3 million. This has now solidified their position has being the most dominant force in Scandinavia. One of the biggest players in the entire audiobook industry is Findway, formally Findway World. This company is responsible for powering the content libraries of 3M, Baker and Taylor, Barnes and Noble, Scribd and Tunein. Playster, BITLIT and they have a presence in over 100 different countries. Their business model centers around powering the collections for larger companies who have a big staff to develop their own apps from scratch and have enough people on staff to curate content. For smaller companies they offer a fully featured white label solution, that includes a basic audiobook player. Findaway has over 100,000 audiobooks in their library and all of their content comes directly from the publishers. They have relationships all of the major publishers, but also a number of regional players. In order to increase the size of their portfolio and differentiate themselves in the market they are launching a new worldwide initiative called called Findaway Voices. Findaway Voices will be launching in the first quarter of 2017 and the new service will be aimed at small boutique publishing companies and indie authors. The premise is to outsource the narration and sound engineering to 3rd parties and the author will be able to distribute their finished product to the entire Findaway Network. I think is a huge competitive advantage for authors because they can finally get proper distribution into the public library system, but also other retailers such as TuneIn, Scribd and Barnes and Noble. In early 2017 Good e-Reader will have the full story on Findaway Voices and be able to disclose how authors will be able to monitor their sales in real time, via a backend portal and talk more about the costs to have an audio title produced and how much revenue they can expect to make. For now, I know that the author will retain all rights, so not only can they distribute their audiobook to the Findaway network, but also manually submit it via the Audible Creation Exchange for inclusion into Audible and iBooks. 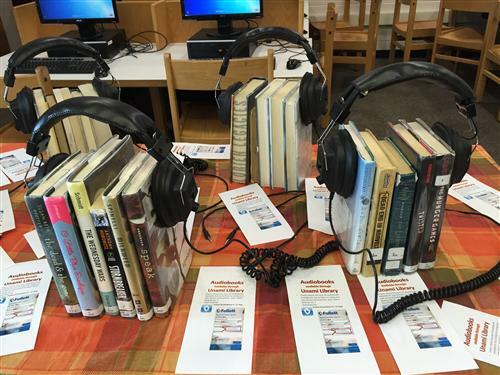 Audiobooks are more popular in libraries than ever before and many companies who power the collections for patrons to borrow are seeing double digit growth. Overdrive is the largest company that powers 75% of all Canadian and US libraries audiobook and e-book collections. Most tech companies involved in this sector lean on 3rd party distributers but Overdrive does things very differently. They have built their own audiobook ecosystem by establishing relationships directly with publishers. They own the platform and this puts them in a very unique position in the marketplace to be able to determine their own fate. Currently, OverDrive has 114,738 audiobook titles in their entire catalog and they reported to Good e-Reader that the overall size of their collection grew by 15% since last year. In 2015 Overdrive had 43 million audiobook loans and in 2016 they had 48 million. In 2017 it very likely that they will have close to 56 million checkouts. What are Overdrives plans for 2017? Hadie explained “One of the biggest trends for audiobooks is being able to stream. Last year, OverDrive introduced OverDrive Listen, instant streaming of audiobooks with synchronization on multiple devices. There’s no app to install and you don’t need to download, just press play and go. With traditional audiobooks, users would take multiple CDs with them or download all parts of the entire 10-12-hour novel. As we are living in a more connected world, streaming is becoming a growing trend allowing anytime and anywhere access on any device and expecting to be able to pick up exactly where you left off. Instead of taking the time to download an audiobook, you can stream an audiobook in the car, at home or the office across different devices without interruption. OverDrive is very optimistic that audiobooks will become more mainstream. We expect it will grow in the non-fiction genre while it is still primarily a fiction bestseller dominated market. We believe other big genres, which traditionally haven’t been strong categories for audiobooks, will start to enjoy adoption. Non-fiction, self-help, educational are just a few of the genres in which OverDrive expects to see growth in the audiobook format. The most disruptive company currently operating in the digital audiobook space for libraries is Hoopla by Midwest Tape. They abide by the Demand-Driven Acquisition concept, which opens up their catalog to libraries and the libraries only pay Hoopla when a patron checkouts a specific audiobook. There are numerous backend tools that libraries can establish a specific monetary threshold, so they can set up a budget and insure that they are not overspending. The Audiobook Publishers Association puts on the Audie Awards every year and they put the spotlight on the top selling books and also narrators. They told me in an interview that there is a direct correlation between award winners and an uptick in sales. One of the big problems though in the audiobook industry is the lack of media coverage. Michele Cobb explained their philosophy by saying “We work closely with media outlets and members that cover audiobooks, including Booklist, Library Journal and Audiofile magazine. We recently put on a training webinar for bloggers to learn more about covering and reviewing audiobooks. We continue to foster and courage the coverage of audiobooks and audiobook reviews across the globe. The APA has also held an Audiobook Blogger of the year competition for the last two years. Many people are unaware of one key facet which propels the growth of the audiobook industry as whole. E-Books have agency pricing, which means that the publishers establish the retail price. This was designed so many different retailers could compete in an even playing field. Audiobooks on the other hand do not have agency pricing. This allows retailers to have more flexibility in price adjusting and they are able to offer steep discounts and sales in a bid to win over customers. One of the biggest challenges facing the audiobook industry is the lack of audiobook review websites. There are only a handful conducting comprehensive reviews on production quality and if the narration is any good. I think in all honesty that the audiobook industry needs to help foster websites that want to focus on audiobook news and reviews in order to make them financially viable. The few that exist monetize their websites by Google Adsense revenue and paltry commissions from Amazon. This is not really indicative of a sound business model, which is why we don’t see more review sites. The Good e-Reader Audiobook Report has been an ongoing saga for the past three years. It is the most comprehensive analysis of the industry and is available for free. This year we focused less on specific regional markets and more on the key trends of 2016 and what retailers and publishers think will occur in 2017. I hope that ebooks continue because audiobooks are not a very good format with my being a deaf reader using bionic hearing implants. They would be fine if I’m reading the text along with the audio to work on better listening. I don’t want digital books to progress to be 100% audio only! Hearing is not the be all for everything! I’m not seeing much in the line of academic writing getting picked up by the audio ebook format. I don’t understand why not as it’s so cheap and easy to self publish under the Amazon platform and make great ideas more accessible. If a book is reviewed in The Economist for example, chances are the library has only hard copy and the price is prohibitive otherwise. Another enhancement many people on forums have been looking for is an annotation feature for ebooks. Currently I can do definition, wikipedia, (forget the other one) and that’s it. I’d like a copy and paste or annotate as might be done on my computer. Lastly, I’d really love to see a dual language help feature for French fiction with an English or other language overlay. It would certainly help getting through the novels in original form. FYI. There is nothing cheap about producing audio books. Imagine the trek from finding the right narrator to creating a finished product in a studio. That’s just for starters. True. And I appreciate the art of good reading as in fact the piece spoke to acting skills involved. My comment was aimed at only the ebook part. Not the audio. Great read, pretty comprehensive. Although surprised this company wasnt mentioned https://www.recordedbooks.com/? Are they not a relevant player in the industry? Can anyone opine? Hi. I just found this article because I’m researching doing audio books. You should not be alarmed by what is written in this article about ebooks. The comments about the market not doing well is GREATLY exaggerated. This story is more of a promo piece for audio book producers. Not much journalism is involved. Recorded books is a huge player in the industry. They’ve been around for longer than either audible or amazon and have a huge catalogue. They purchases Tantor Media and audiobooks.com in the last couple of years. I am now in direct contact with Recorded Books and the new company they started, RBDIGITAL. I will be talking with them for my 2018 piece. I disagree. This entire post was a byproduct of over 50 different interviews with audiboook companies all over the world. There is no other audiobook report as comprehensive as mine. What about small and indie publishers? And I definitely found it comprehensive. May I ask which audiobook companies would your recommend on the stock market? Thank you for your time. to be honest, everyone is privately owned. Amazon/Audible is the only publicly traded company. Barnes and Noble has a small audiobook store, which they do not promote, but their stock is not doing so great, B&N Education is the better buy. Rakuten owns Overdrive, which would be a good investment, but many North American trading platforms do not allow you to access the Taipei Exchange or others in Asia. I just found two of your articles the past couple of days and was blown away by the in-depth analysis you do. Definitely bookmarked and much appreciated! A nice report, thoroughly researched. Thanks very much. As an older audiobook fanatic, and a non-smartphone user, I am getting increasingly frustrated with the Audible.com-ization of the industry. I have a large mp3-audiobook collection. I listen on an iPod. I purchase the books I listen to, and I enjoy the freedom of listening to my DRM-free collection on any device I care to, without worrying about streaming apps, memberships, subscriptions, and the like. Just as with print versions, I want to own the copies I buy and do with them as I like (within legal limits, just as with my print books). But buying audiobooks the way I like to is becoming increasingly difficult. I got frustrated today trying to find a non-Audible.com version of The Odyssey in a specific version–the Fitzgerald translation, read by Dan Stevens, ISBN 9781427229434. It’s an FSG book, and the audio version is distributed by Macmillan Audio. I’m ready and willing to pay full retail price for a DRM-free download version, an audio-CD version, or an MP3-CD version, but none of those seem to exist. I sent a query to the publisher; we’ll see if they reply. Do you see the industry continuing to contract in the Audible.com-style direction–i.e., DRM-obsessed, device-restricted, subscription-based–or do you think there’s hope for guys like me, who just want to buy the books they want in a standard, non-DRM format? I am working on a historical fiction that includes original music material as well. I am not quite sure which company would be most interested in something like this. Any suggestions? Parris, lets talk. I own a recording studio that specializes in music, podcasts and audiobooks. Woud love to help if it makes sense. My number is 317-432-4306. 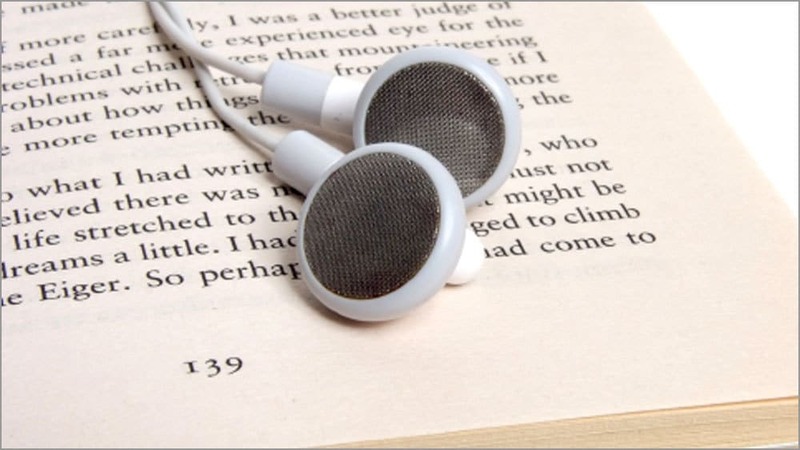 Hi, Looking at world trends and industry size, challenges, developments and format adaptability in Audio books for India. I understand Amazon is currently holding about 40% plus market share in Audio books and plan to enter India trough their “audible” venture. If anyone has any pointers,suggestions would be grateful to go through the same you can mail them to jaidevmahesh@gmail.com.